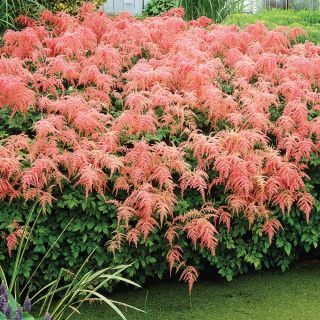 Gorgeous coloured plumes are gracefully set high above attractive dark, long-lasting foliage. 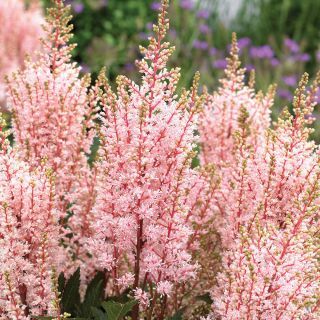 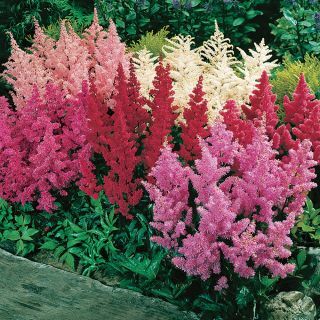 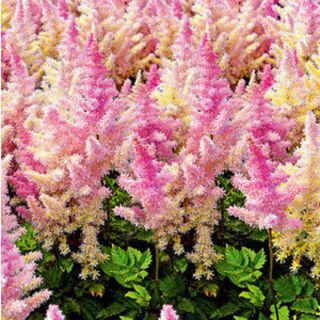 Astilbes are one of the top choices when selecting perennials. As soon as they emerge from root to stem, they set and hold form for even the barest of gardens from early spring through winter. 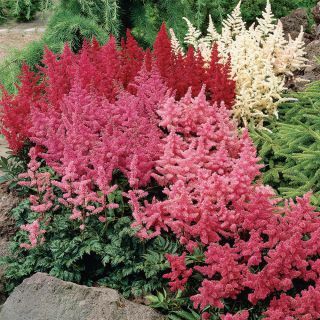 Astilbes can be left standing until the following spring. 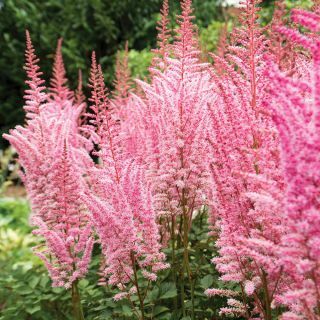 Gardeners are actually encouraged to leave the flower plumes especially during the winter months, as birds will feed off them when food is often scarce, and of course the plumes will add extra beauty to your winter garden.